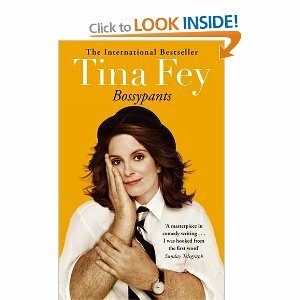 I had heard a lot about Bossypants, Tina's Fey's autobiography, around the Christmas period and wanted to pick it up. I'm sure most have you have read it by now, but I only spotted it on my friend's bookshelf the other week, so borrowed it for a weekend read. Turns out you only need a morning to read it. Bossypants is a perfect, light 'term time' read, but, I am glad I just borrowed it, as it is not a book that I am likely to re-read. I know of Tina Fey through her famous Sarah Palin impersonations. However, I have never seen 30 Rock and this meant that the latter part of her book had less meaning for me. By the end of her book, I felt she was just filling in pages when she wrote down parts of scripts used in episodes. I did however enjoy her stories of her childhood and years working at the YMCA. I have to say, I didn't laugh out loud once though. I think she tired quite hard and I was a bit bored of her negative outlook on herself...(mm-did you see how great he looked at the Oscars!) Saying all that, it was an enjoyable Saturday morning read and I will for sure hunt own a copy of 30 Rock to find out what she was talking about! 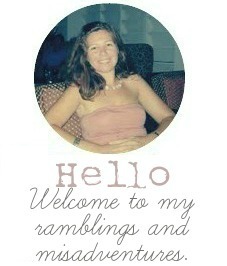 This is a book club blog link-Heather is hosting it. I think Tina Fey is hilarious, but I've still never read this one! i agree,i am a fan of hers but i didn't like this book. it did seem like she was trying too hard and i could never really tell if she was being serious or not. I wanted to read this book, but now maybe I'll hold off. Thanks for the review! I sped through this book so quickly!! hilarious. I have just finished reading 'Karoo Plainsong' by Barbara Mutch. The last time I felt this moved by a book was when I read 'The Poisonwood Bible' but Barbara Kingslover. Nicola-Poisonwood Bible is up there with my all time favourite novels-it is a book that stays with you for years - therefore I have to read Karoo Plainsong...thank you! I am saving this read for my upcoming honeymoon. Thanks for the review. It was a little rough to get through..parts were funny and others were boring. Robyn, when you have read it, I would love to know your thoughts on it. I'm sure if you loved Poisonwood Bible, you will love Karoo Plainsong too. OMG! You HAVE to watch 30 Rock - it's one of the best comedies ever made!! I loved this book but then I LOVE Tina Fey. She could write a shopping list and I'd think it was hilarious.